Every day you touch your phones–while you cook, commute, or work. 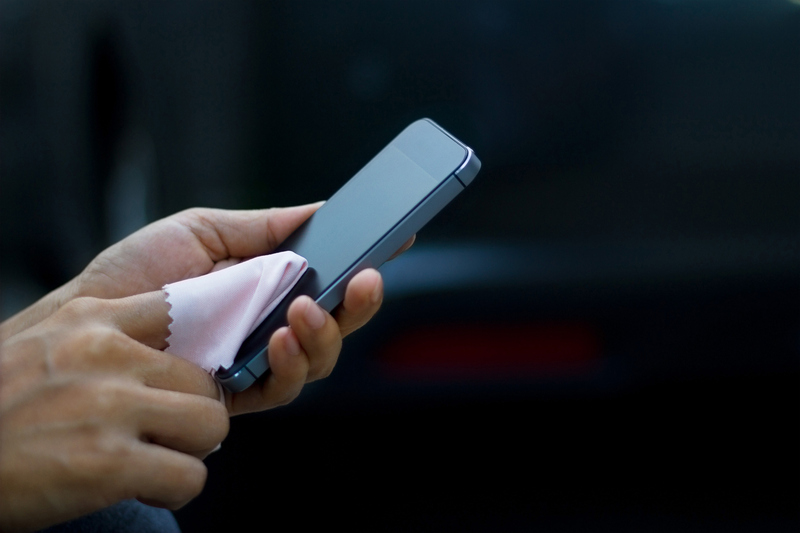 It’s not surprising that your cell phone can have 10 times more germs than a toilet seat. What do you do to get your phone clean? Our team of experts shared these tips so you can keep your phone and other gadgets clean during cold and flu season–and throughout the year. 1. Get a microfiber cloth. 2. Get a spray bottle. 3. Fill the bottle with a 50/50 solution of isopropyl alcohol and water. 4. Get a bottle of compressed or canned air. 5. Use the air to clean your ports. 6. Spray the microfiber cloth with your solution. Do not spray your devices. 7. Gently wipe each gadget. 8. Allow each device to air dry. You now have a germ-free gadget! Want more tips? If you are enrolled in your phone carrier’s protection and support program, you may already have unlimited access to our tech experts who can help you learn, grow and do more with your technology!